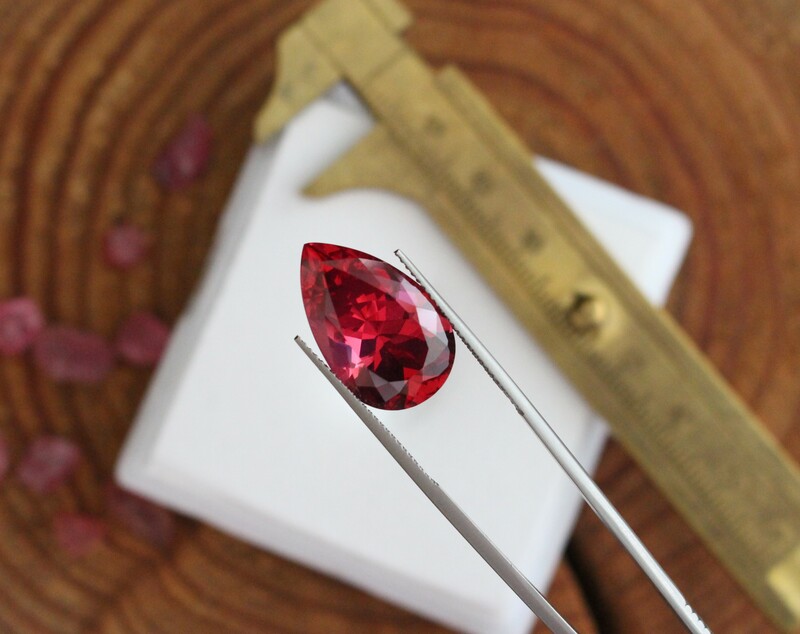 What a beautiful 15 ct+ Spinel from Tanzania. Do you know that even the center stone of the British crown is a Spinel? A beautiful, pure Paraiba cushion 18×14,5 with 20,24cts from Mozambique. 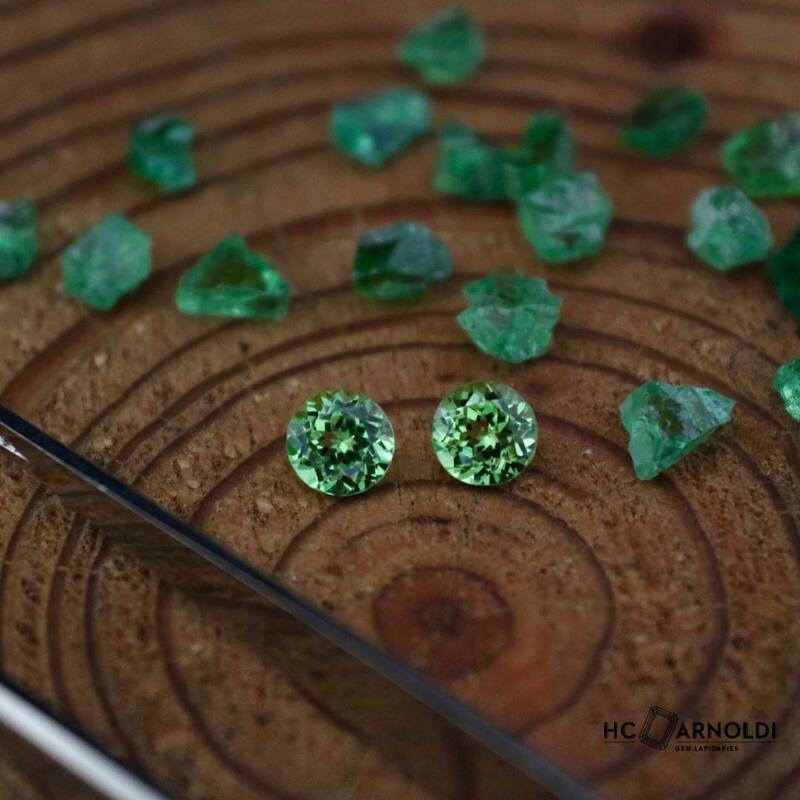 A beautiful tsavorite-pair in round, from the Garnet family. The name of the Tsavorite comes from the Tsavo National Park in Kenya. In addition, it resembles the emerald in colour with its strong and lively green. 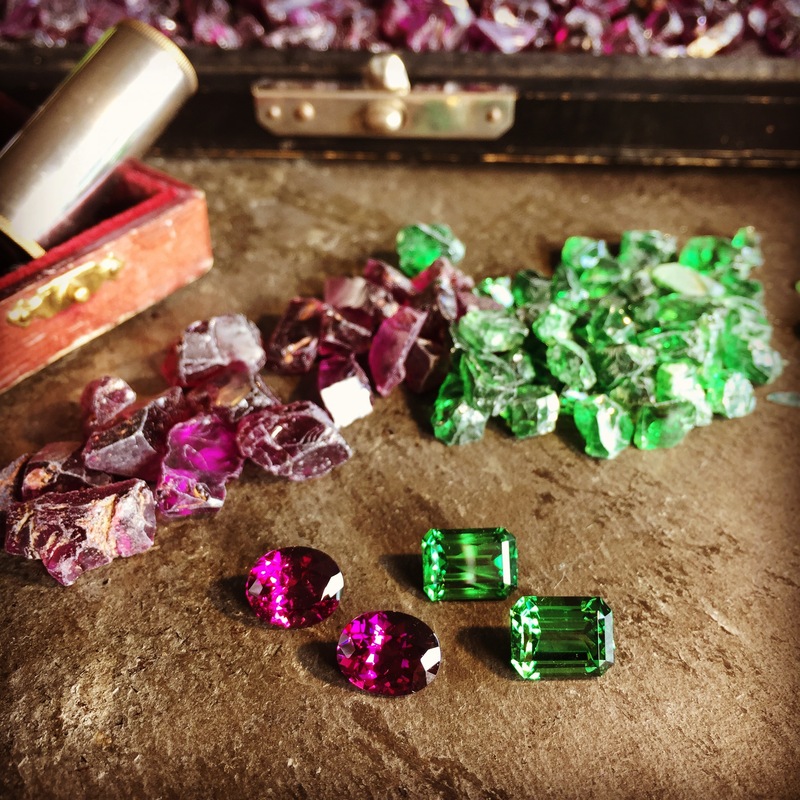 Tourmalines are available in more than 50 different shades. This one has a light orange/red colour and is star-cut. 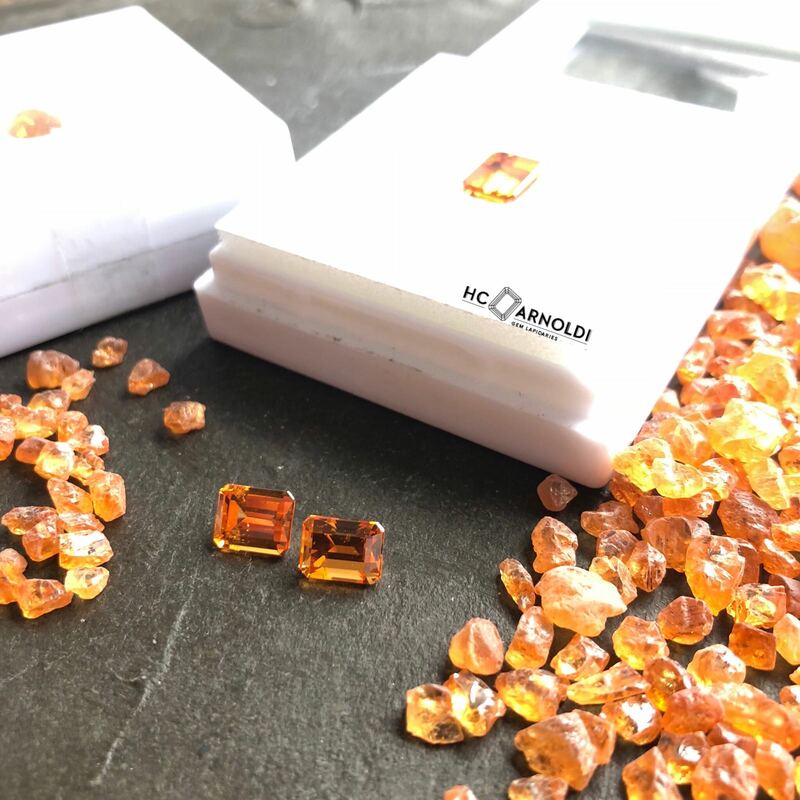 A beautiful pair of Mandarin Garnet from Nigeria, cushion 9x7mm, 5,66cts. 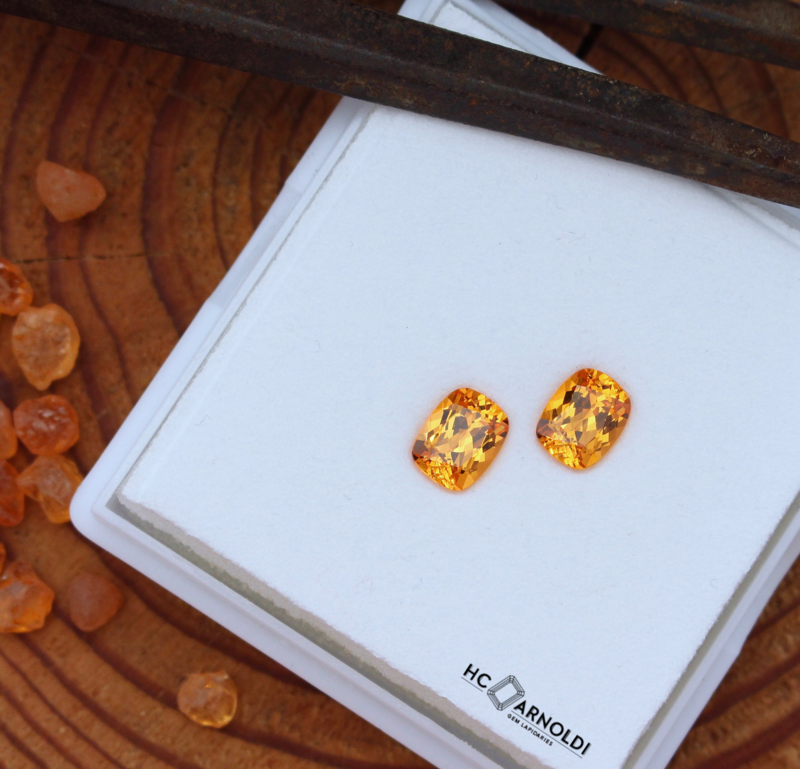 The second gemstone is mandarin Garnet. In Tanzania you can find the most vivid orange but nearly all have black spots inside the crystal. 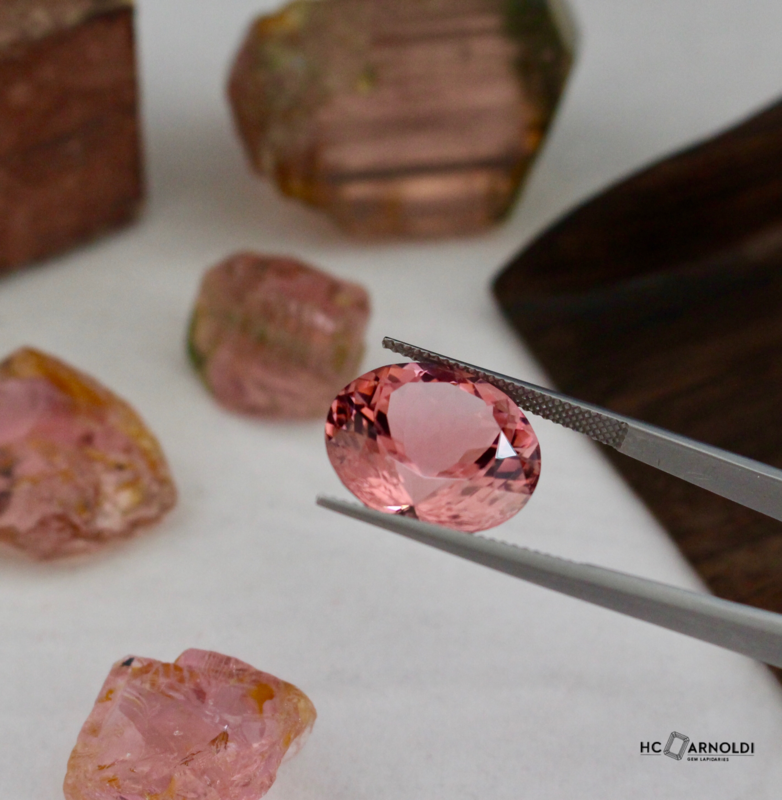 For that reason most mandarin garnets are only used for cabouchons. 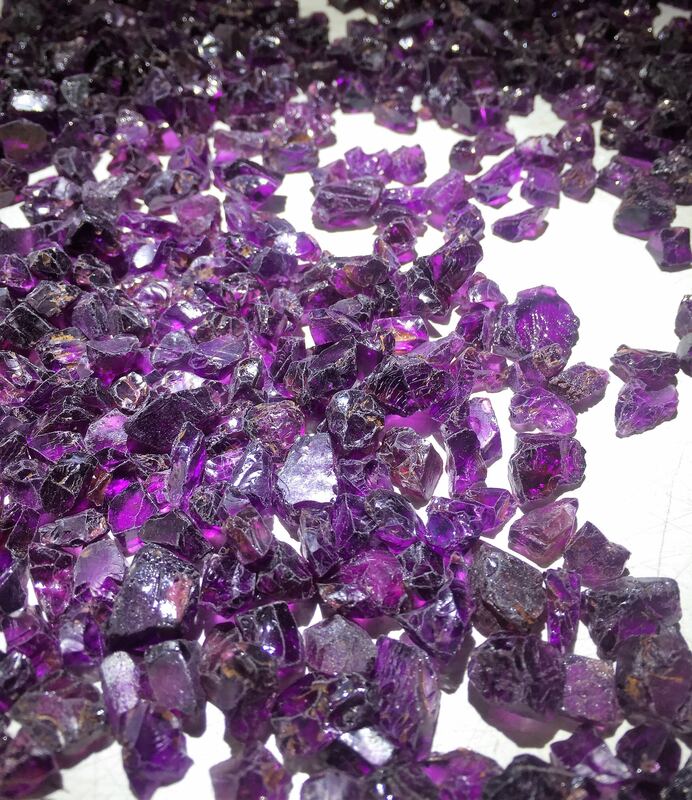 This time we are going to show you what kind of fine gemstones we collect from Tanzania. 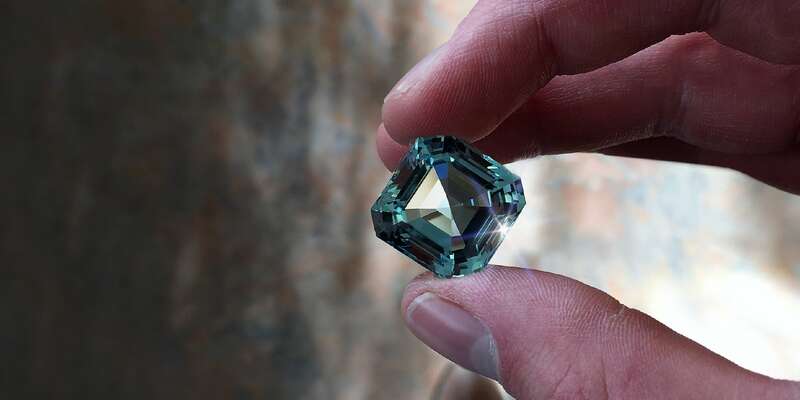 The first ones are Chrome Tourmalines in a wonderful deep green. We recently bought two lots of wonderful garnets. 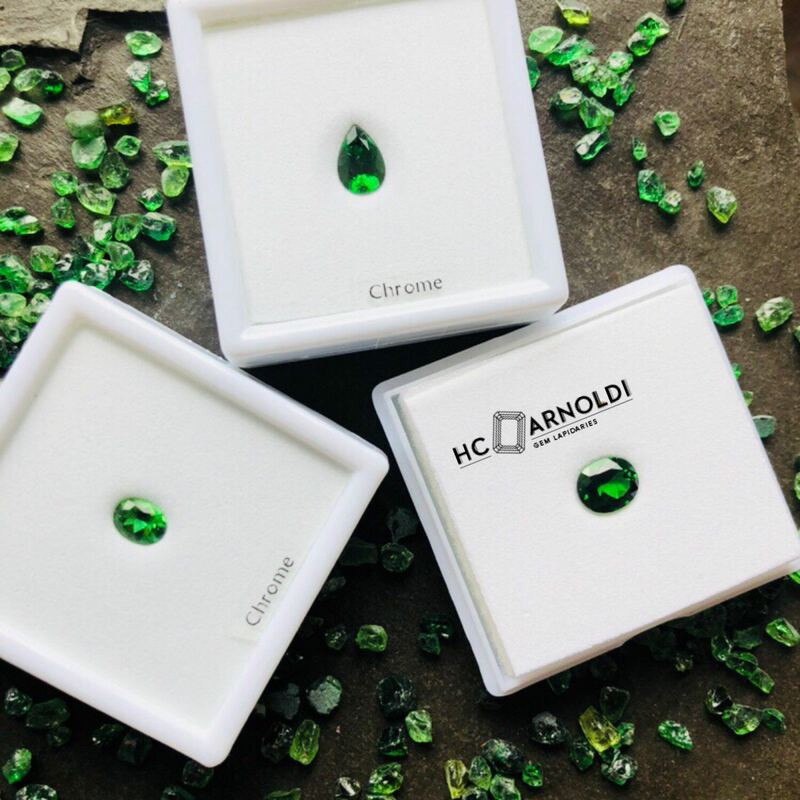 The green garnet also known as tsavorite is from Tanzania and the purple garnet is from Mozambique also known as royal purple garnet. The tsavorite pair is above 9 cts and the royal purple garnet is above 6 cts. Aquamarine, the reason why HC Arnoldi was founded. 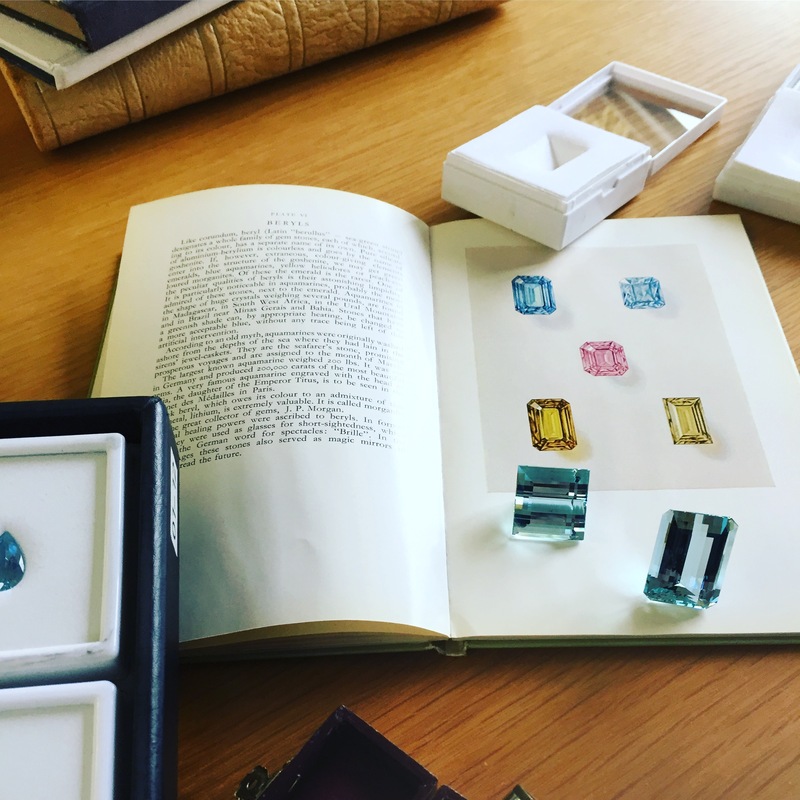 Arnoldi was founded 1919 and the first stone that we bought was an aquamarine. 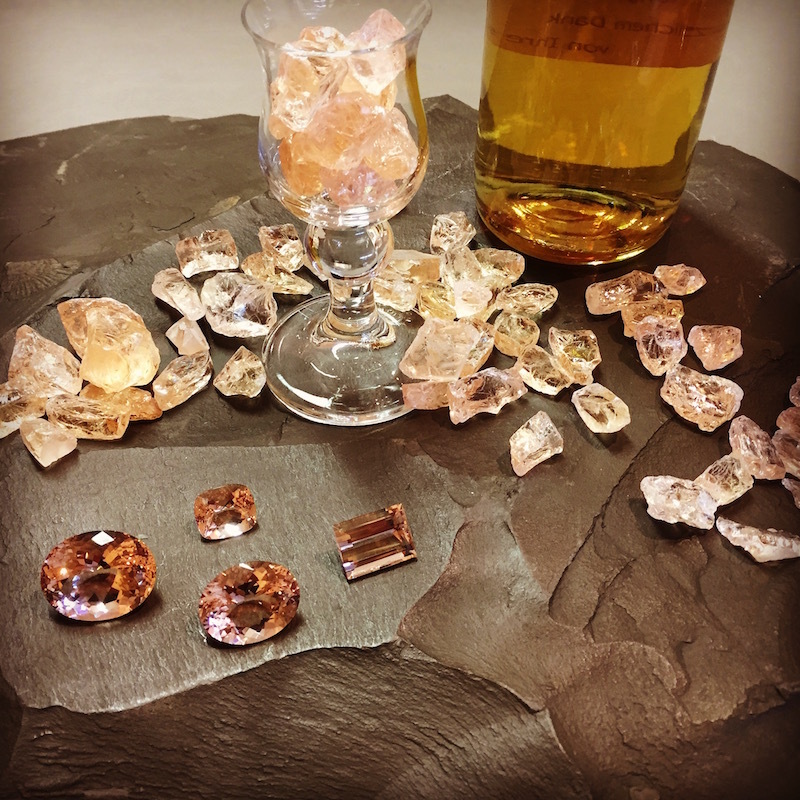 Do you want to join some whisky with morganite? Stay up to date and see our new arrivals here and on Instagram.